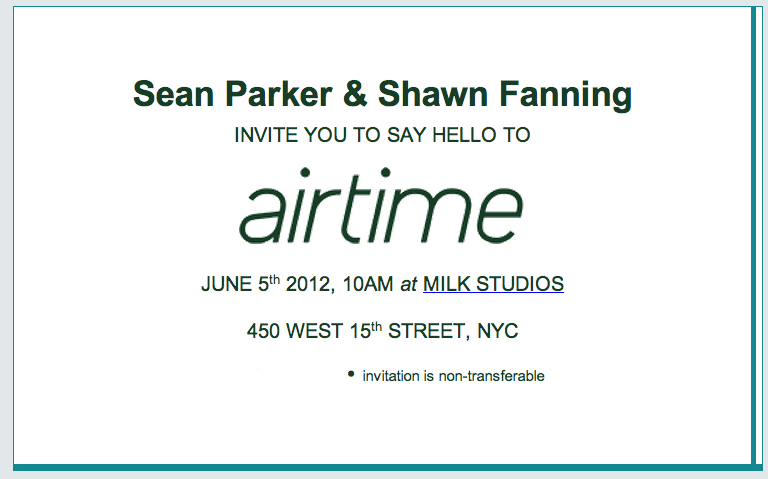 Airtime looks to be finally ready for takeoff, as Sean Parker and Shawn Fanning’s stealth video startup just put up a blog stating “We look forward to saying hello on June 5th. Sign up to be first in line.” Airtime took a limited round of pre-registrations last month but is now letting people sign up for early beta access. No one’s sure what exactly the startup does, though many believe it will help people meet each other through live streaming video. Here’s a look at all the clues hidden in the Airtime site, that’s now counting down to June 5th like it’s going launch a space shuttle. The invitation I received to attend the June 5th press event in New York won’t be of much help, unfortunately. In what’s likely an effort to stem speculation, it’s just a bare-bones card sent via email. Airtime is taking pre-registrations through Facebook with an app permissions request that includes your biographical and interest data. So while it seems Airtime won’t be building a full-fledged social network of its own, it could “bring people together” by matching them based on their location, education history, favorite bands, or even their political views. Given how past products from Sean and Shawn like Napster, Facebook, and Spotify have exploded with popularity, a billion monthly page views might not be too crazy. Still curious? 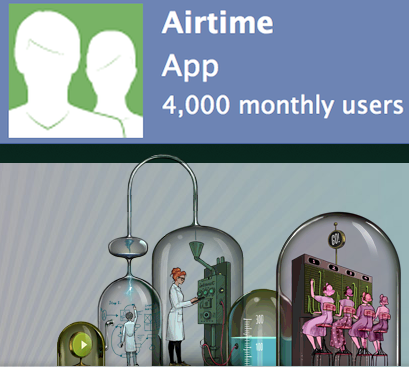 Here’s the rest of our Airtime coverage, including interviews with Parker and investor details.